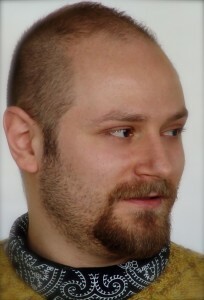 George Papagiannakis is a computer scientist specialized in computer graphics and virtual-augmented reality. He obtained his PhD in Computer Science at the University of Geneva in Switzerland in 2006, his M.Sc. (Hons) in Advanced Computing at the University of Bristol in UK and his B.Eng. (Hons) in Computer Systems Engineering, at the University of Manchester, UK. Since 2011 he is assistant professor at the Computer Science department of the University of Crete, Greece and Marie Curie Research Fellow at the Computer Vision and Robotics Laboratory in the Institute of Computer Science of the Foundation for Research and Technology Hellas, Heraklion, Greece. Prior to this post, he had worked as a senior researcher and research assistant at MIRALab, University of Geneva with Prof. Nadia Magnenat-Thalmann. He has also been employed as consultant and lead graphics programmer in the industrial sector. His research and development interests are confined in the areas of mixed reality presence, illumination models and real-time rendering, virtual heritage, GPU programming and real-time frameworks-engines for integrated VR/AR character simulation. He has actively been involved in the specification, contribution and co-management of several European funded research projects in these areas. Currently he is working on high-fidelity presence and interaction with virtual characters and humanoids in mixed reality. He has more than 35 publications in the field, over 400 citations and he is a member of IEEE, ACM and SIGGRAPH professional societies. In 2011 he has been awarded with a Marie-Curie Intra-European Fellowship for Career Development from the European Commission’s Research Executive Agency. The most recently updated CV can be downloaded from here.